2018 was another stellar year for aviation, continuing the boom driven by rapid service expansions in the Asia Pacific region and increased low-fare flight options worldwide. 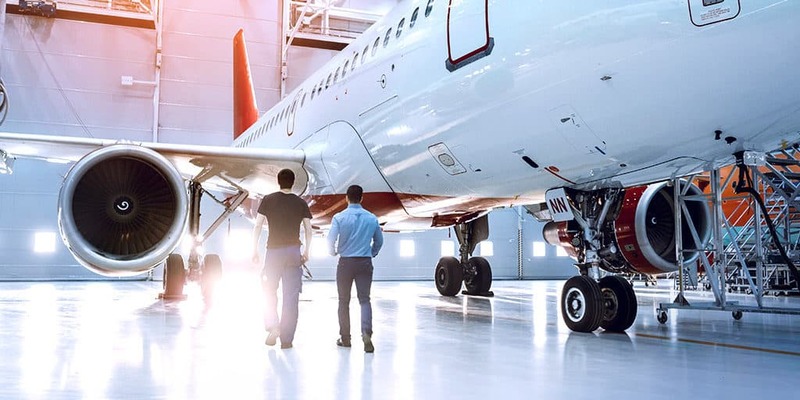 In addition to the business aspects of the industry, aviation is also experiencing an innovation boom, with disruptive new technologies and new approaches driving unprecedented efficiencies that could change the trajectory of the industry as a whole. In this post, we’re rounding up some of the most exciting developments in aerospace over the past year. Aerospace is always at the cutting edge of technology, but even so, 2018 felt like an extra exciting time for innovations, with many promising applications of disruptive technologies. Additive manufacturing (AM), also known as 3D printing, has the promise to create high-quality, lightweight aircraft parts faster, cheaper, more efficiently, and with significantly less environmental impact than traditional manufacturing. And AM is already being employed at scale for certain components: in late 2018, GE created its 30,000th 3D-printed fuel nozzle for their LEAP engine line. While low-cost drones have become a common sight in parks across the country, high-quality models with high- definition cameras have been employed to perform aircraft maintenance inspections in a fraction of the time of traditional visual inspections. Blockchain is a decentralized, incorruptible digital ledger that offers transparent, secure, chronological data chains that can easily be traced back to an initial transaction. In aerospace, which demands high security transactions and stringent traceability requirements, blockchain could meet a lot of important needs. There are a host of other promising technologies that we are keeping our eyes on, including artificial intelligence, which is being used to power prescriptive analytics, augmented reality (AR), which is being used by MRO mechanics for training and guided repair, and digital twin technology, which creates a virtual replica of a physical asset that aims to predict service needs more accurately. In addition to the new technologies driving aerospace innovations, the industry is trying some new approaches to solve pressing problems. An historic agreement by all 191 member states of the ICAO, CORSIA lays out a global system for capping net carbon emissions for the international aviation industry at 2020 levels by offsetting any additional emissions. Baseline CO2 data is being gathered as of January 2019. While it’s easy to focus on the positive aspects of the aerospace boom with an unprecedented number of aircraft currently in production, there are others looking toward the future and considering how aircraft recycling can be improved to avoid all of those aircraft being sent to landfills when they are retired. As one of the greatest contributors to global carbon emissions, the aviation industry is well aware of its responsibility to curb the effects of CO2. Green aviation is an umbrella term for sustainable practices in aerospace, including increased fuel efficiency through engineering, the development of biofuels, and the aforementioned innovations provided through aircraft recycling, CORSIA, and additive manufacturing. One of green aviation’s biggest proponent’s is NASA, whose X-Plane program pioneers new sustainable aerospace technologies. As exciting as 2018 was for aerospace innovations, we can’t wait to see what positive and promising developments are in store for 2019.